We got it! The real story about how the Omega Speedmaster became the ‘Moonwatch‘ and all references of the watches worn by Neil Armstrong and Buzz Aldrin during Apollo 11 Mission. Until now there has never been complete, nor fully confirmed information about these matters. Together with the Omega Museum, Monochrome brings for the first time ever the full story, and sheds light on what has been hidden in the vaults. When we set out to write our three-part History of the Omega Speedmaster articles, we reached out to Omega – the Omega Museum to be precise – for help to verify some historical and technical details. The museum went over all details (everything is approved now) and we started talking about how the Moonwatch became the NASA’s official watch, about the difference in reference numbers of the astronaut’s watches, as mentioned in various articles and books, and more. Today we bring you the exclusive story that should end all speculations and urban legends. We hope you’ll enjoy it as much as we did. 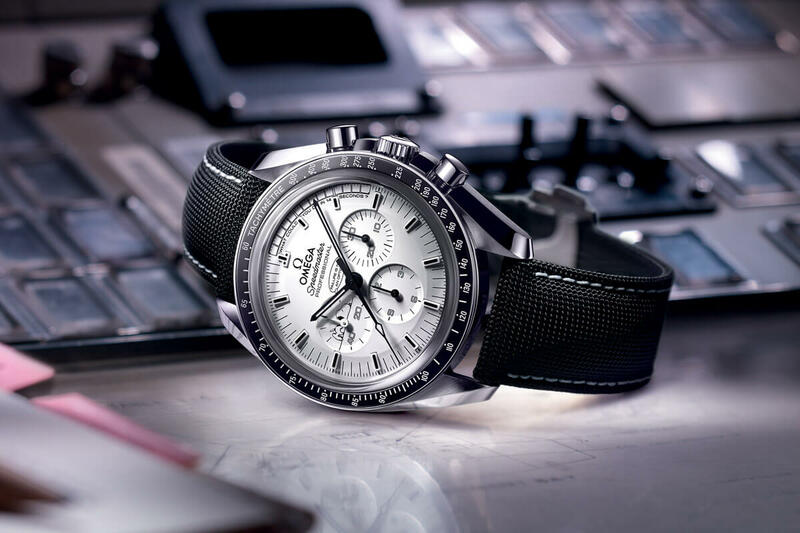 First of all, how the Omega Speedmaster became the ‘Moonwatch‘? NASA, a government organization, does not go out to a local store to buy equipment. Since it’s a governmental agency there are procedures, and of course there are procedure for the procurement of equipment. An important factor in that procedure is the letter of requirements. The procurement procedure was initiated by James H. Ragan (at the time a young engineer at NASA) and end of 1964, a request for quotations was sent to several watch brands. The request for quotations was accompanied by a specifications-sheet, with more details about what exactly NASA wanted to see. Only four brands answered: Longines (via Longines-Wittnauer USA), Omega (via their agent in New York, Norman M. Morris), Rolex (via Rolex USA) and Hamilton (then still an American company). After the four brands send in their watches, James H. Ragan performed the tests, which lasted for a few months only, from October 21st, 1964 to March 1st, 1965 to be precise, so a little longer than four months (not the three years that are frequently mentioned in other publications.) What is correctly mentioned in other publications is that only the Omega Speedmaster met all requirements and NASA declared it ‘operational for space exploration and flight certified’. The ‘Moonwatch‘ was born, but only after a complex and highly administrative process. 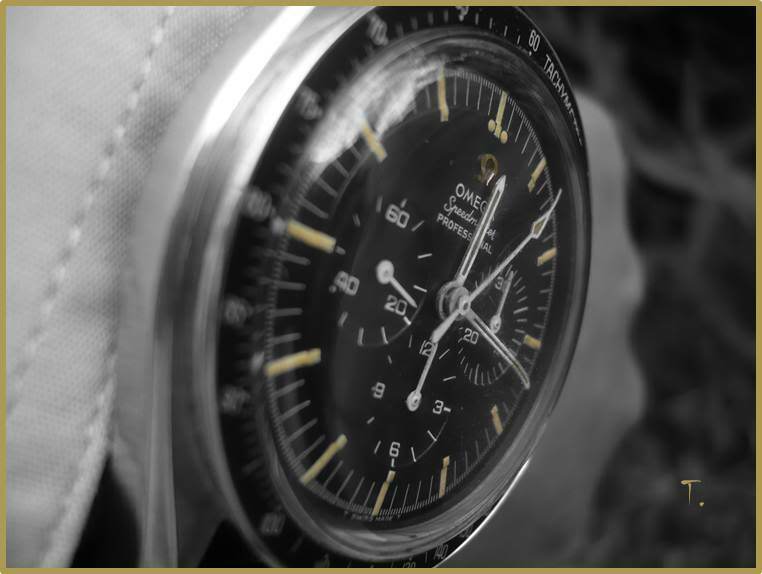 More can be read in the introduction of our History of the Omega Speedmaster, Part 1. That includes all the details of the ‘Qualification Test Procedures’ and of the selection process made by NASA’s James H. Ragan. Then, comes the light on the references of Buzz Aldrin and Neil Armstrong own Omega Speedmasters, worn during Apollo 11. Editor’s note: The OMEGA Museum works since two years directly with Mr. Ragan (ex-NASA) and at the same time with the Smithsonian Institute as well as with several other sources in Houston. 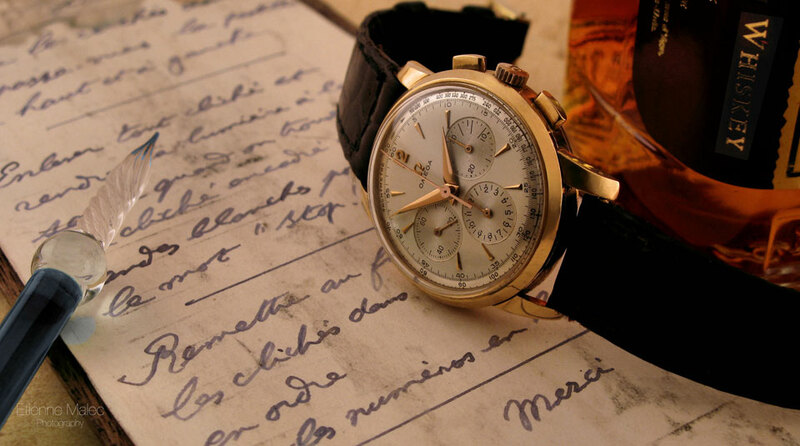 Omega have finally been able to put the whole history together, backed-up by countless original documents – most were previously classified – both in Houston and within countless archives discovered in the vaults of the Omega museum. For years, one of the most important questions concerning the Omega Speedmaster was about the references worn by Buzz Aldrin and Neil Armstrong. Armstrong’s Speedmaster was already known to be a ST105.012 with the serial number 24002981. But for Aldrin’s Speedy, it’s another story, as it seems to be lost. Speculations were talking about a ST145.012 – which we know now to be wrong. 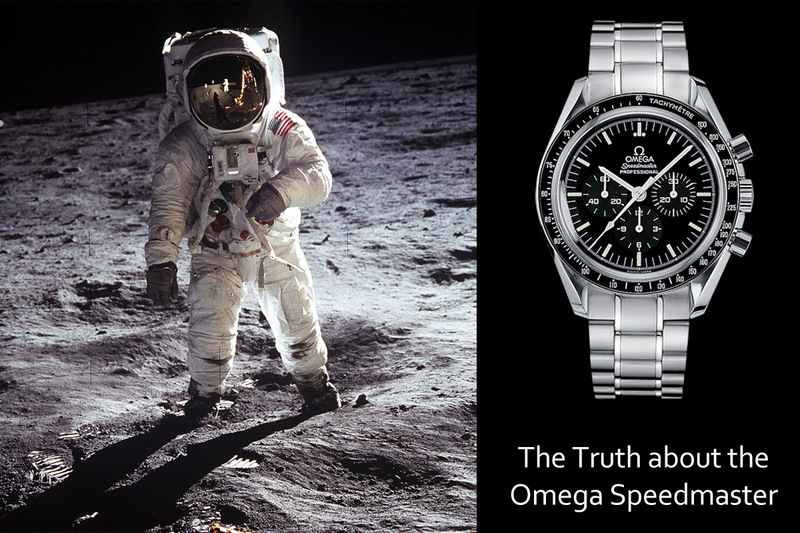 For historical accuracy it is absolutely true that the first Speedmaster to land on the moon was the ST105.012. Both Neil Armstrong’s and Buzz Aldrin’s Speedmasters were ST105.012 models. We know this since the Omega Museum is working directly with James H. Ragan, and they have had access to all the original NASA documents. This includes also the documents that proves the reference of Buzz Aldrin’s Speedmaster, that is now for sure a ST105.012. 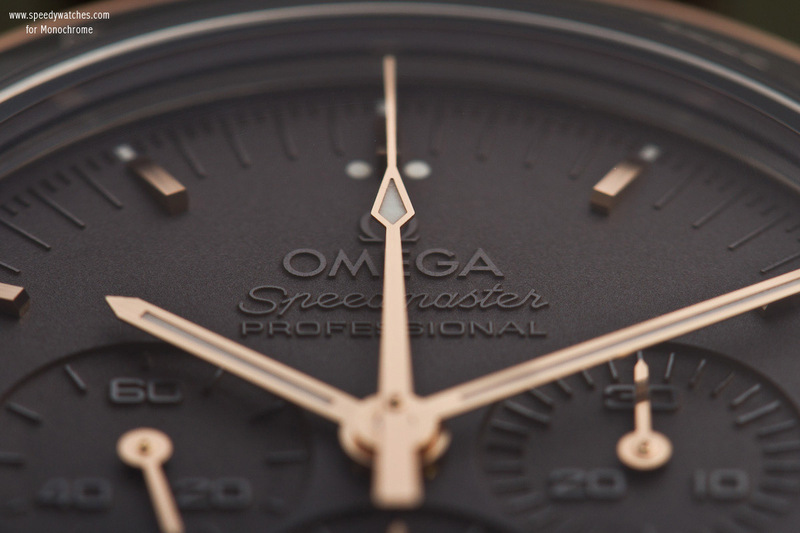 The mythic, iconic, timeless and unique Omega Speedmaster ‘Moonwatch‘ thus is a ST105.012, an asymmetrical edition, showing the ‘lyre lugs’, the 42mm case and the Calibre 321. More can be read about this reference and the Apollo 11 mission in our History of the Omega Speedmaster Part 1. You can also discover another Omega’s achievement, the Alaska Project, also jointly conducted with NASA in our History of the Omega Speedmaster Part 2 (plus some great 1970s editions). You can also discover all the Apollo 11 Limited Editions in the third part of this History. We would like to send our immense greetings to the teams of the Omega Museum for the gift they gave us to let us be the first to publish about these stories. Note that these are just extracts of the full history of the Omega Speedmaster and that the Omega Museum is actively working on this. More will be published in an official book soon. I’ve heard that these watches actually had issues during their time in space, and more specifically that the glass broke (or at least “pop-out”) because the inside of the watch had of course the higher earth air pressure. Do you have any details on this and how they worked after return on earth? This may not be the truth and provides no evidence to your claim and just more speculation. The only one that has the evidence is the Smithsonian. Without the “Historical Record Card” and at the top left hand corner will clearly show the movement number for the watch that matches for S/N 43.Then And ONLY THEN WILL WE ALL HAVE THE TRUTH. Can you Provide us the “System and Component Historical Record” for S/N 43 and not S/N 63 ?? This may support the truth. 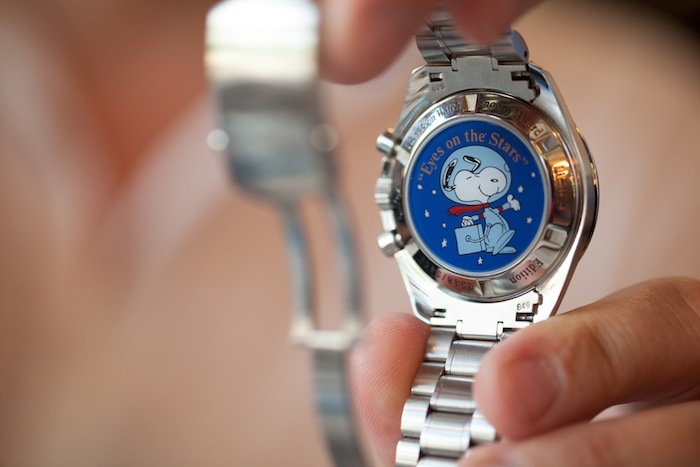 I met a Gunter Wendt (pad Leader for NASA) on a cruise ship many years ago and he showed me his watch. He then told me he’d had been given it by Neil Armstrong when he returned after the moon landing and it had been on the moon. William, you sure are a very Lucky man, to have such a man as Neil Armstrong as a friend and to receive such a memento from him, my congaratulations to you!!! The three Speedies that went to the first moonlanding are US government property and for sure noone can own them legally. My friend Richard used to work as a NASA engineer. I think NASA bought a lot of watches. The engineers received watches awarded by the astronauts. 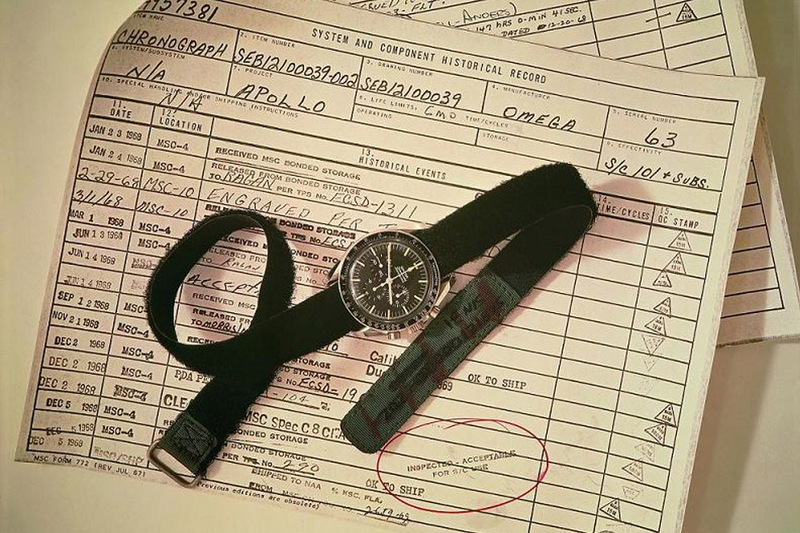 Richard’s speed master was presented to him by Neil Armstrong. I have an 861 that was given to me as a BD gift in July 1969. But you say the first moonwatch had the 321 cal. which I must believe is true from your official statements above. My question is: On which mission was the first 861 cal used? 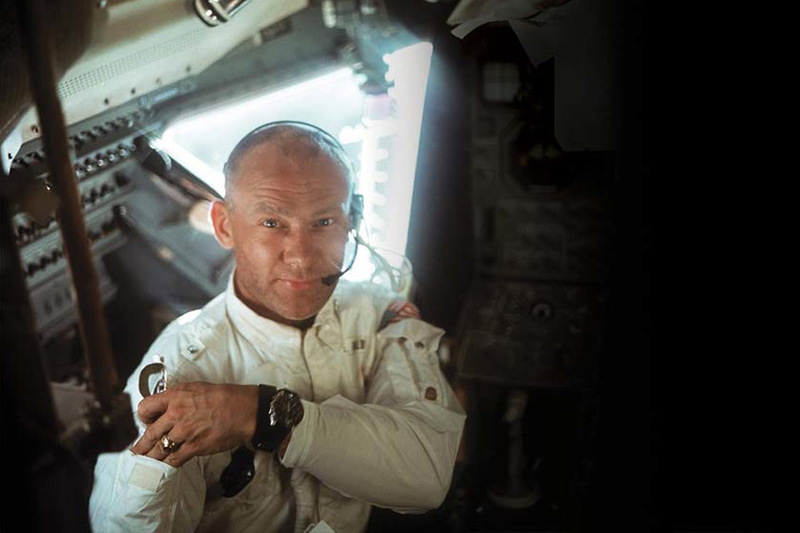 After Apollo 11, which Buzz Aldrin wore a 321 Speedmaster, when was the next time an 861 first went into space? I can’t find this answer anywhere. I would assume the famous “Apollo 13 correction burn” used the 861 movement of the Speedy. Can you confirm this? This is a very interesting question… and we can’t answer. We’ll have to ask to the Omega Museum. Just wondering. Have you made any attempts to communicate with the Omega Museum about my question above? 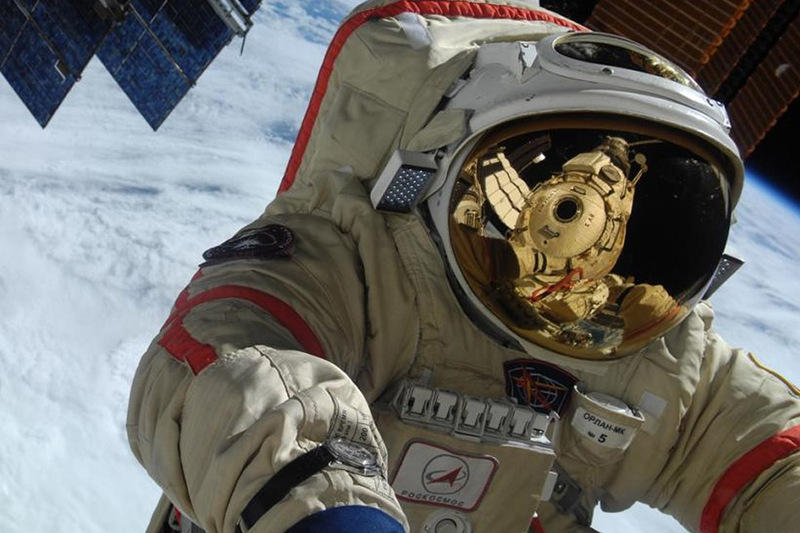 When was the first time an 861 Speedmaster went into space? I know everybody is busy these days, but it seems only the Omega Museum has the answer. I’ll be patient, but it seems your website is the only place to go to find the answer. And, as you said: “This is a very interesting question”. So for the sake of our posterity, and with respect to the history of Speedmasters, we enthusiasts would really like to know. So, here we are on Christmas Eve, 2018. As of today, do we know when the next time after the once in a lifetime first Lunar landing did the next generation of Speedmasters, that is, the .861 movements become NASA history? Merry Christmas to all and Happy New Year as well. Dave Affinito. Daffinito@aol.com. NASA may have tested the speedmaster but it never made it into space. The whole thing was staged. As a former NASA fan boy and speedy owner, no one is more bitterly disappointed than me. We were all lied too.